3 Bedroom Detached House For Sale in Nottingham for Asking Price £285,000. 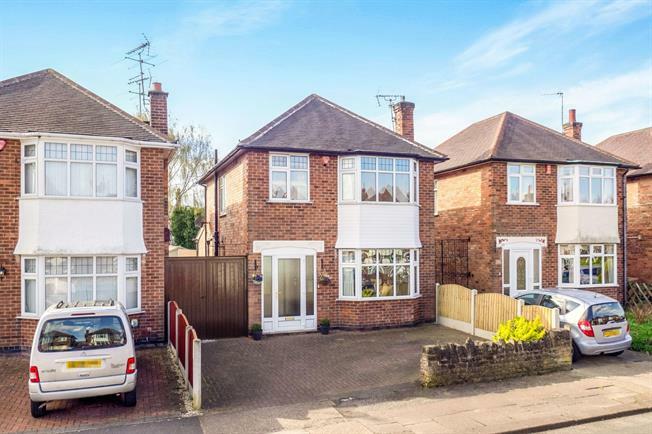 An impressive family home which has been extended to the rear, immaculately presented throughout & boasts a re-fitted kitchen, open plan dining room & vaulted ceiling sun room to the rear. Ideally located for Wollaton Hall & Deer Park & The Fernwood School, the accommodation comprises; entrance porch, hallway, living room, open plan dining room kitchen & sun room, three bedrooms & a re-fitted family bathroom. Outside there is a driveway for two vehicles & gated access to the rear garden & garage. Leaded windows & door to porch, stairs to first floor & under stair cupboard, radiator. Open plan to the sun room & kitchen, radiator. Vaulted ceiling with double glazed Velux window, double glazed uPVC French doors to the garden, radiator.